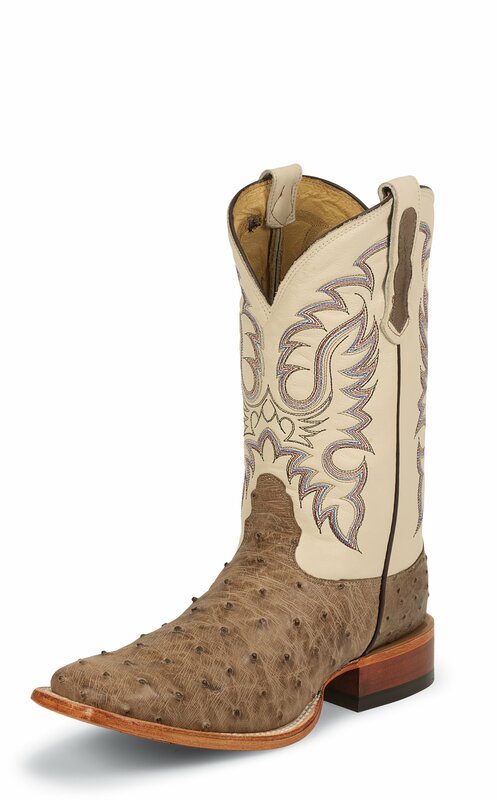 The Quicksilver Mink Full Quill 11-inch tall men's exotic boot features an ivory leather upper with a subtle tonal stitching and pairs perfectly with the golden tan full quill ostrich foot. Slightly distressed and textured for a vintage feel, this boot sports a square toe and diamond cut pull straps that set this boot apart. The unit heel and cushioned insole provide a relaxed and comfortable fit in or out of the stirrup. This style is proudly Made in the USA with global parts.